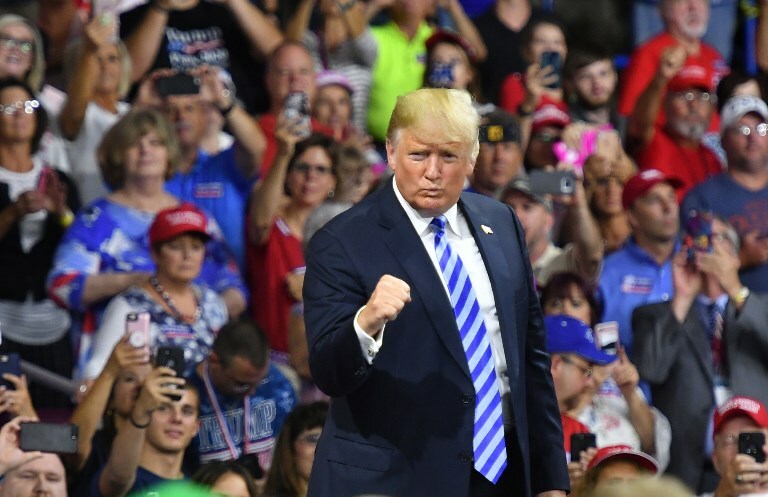 President Donald Trump left his top advisers scrambling on Monday to explain a trade deal he claimed he’d struck with China to reduce tariffs on U.S. cars exported to the country — an agreement that doesn’t exist on paper and hasn’t been confirmed in Beijing. In the day after Trump announced the deal in a two-sentence Twitter post, the White House provided no additional information. At a briefing in Beijing, a spokesman for the foreign ministry declined to comment on any changes to car tariffs. Questioned about the agreement on Monday, Treasury Secretary Steven Mnuchin and Trump’s top economic adviser, Larry Kudlow, dialed back expectations and added qualifiers. Larry Kudlow speaks to members of the media outside the White House. “I’ll call them ‘commitments’ at this point, which are — commitments are not necessarily a trade deal, but it’s stuff that they’re going to look at and presumably implement,” Kudlow told reporters at an official White House briefing that followed TV interviews and informal briefings by him and Mnuchin earlier in the day. The apparent move on auto tariffs was part of a broader trade truce struck by Trump and Chinese President Xi Jinping during a dinner in Buenos Aires on Saturday night. As part of that the U.S. said it had agreed to hold off on raising tariffs Jan. 1 while negotiations took place. Kudlow initially said that the Chinese had 90 days from Jan. 1 to come up with “structural changes” regarding intellectual property protections, forced technology transfer and other issues. The White House later corrected him to say that the 90 days actually began on Dec. 1, Saturday. Trump’s tweet, which moved stocks of automobile companies across the globe, followed the dinner at the Group of 20 summit in Argentina. There, all sides agree, the American president agreed to postpone an increase in tariffs on Chinese imports to 25 percent from 10 percent, which was scheduled to take effect Jan. 1, in exchange for negotiations on broader economic disputes. He didn’t say precisely what China committed to do. The uncertainty underscored the risk entailed by Trump’s eagerness to strike deals without nailing down details in advance. The confusion was exacerbated by the absence of a joint statement from the U.S. and China following the dinner. Financial markets were left struggling to digest talks that the White House portrayed as a major victory for the president. Donald Trump, Xi Jinping, and members of their delegations during their bilateral meeting on Dec. 1. Officials in Beijing did not respond to requests for an explanation and neither did the Chinese embassy in Washington. 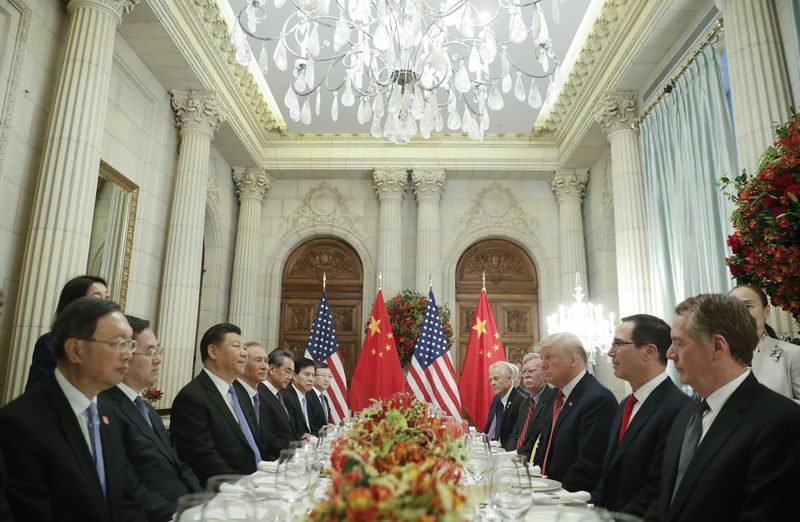 Trump nevertheless praised himself for the dinner, and abandoned nuance in claiming on Twitter that China had agreed to immediately buy more U.S. farm products, in addition to dropping car tariffs. 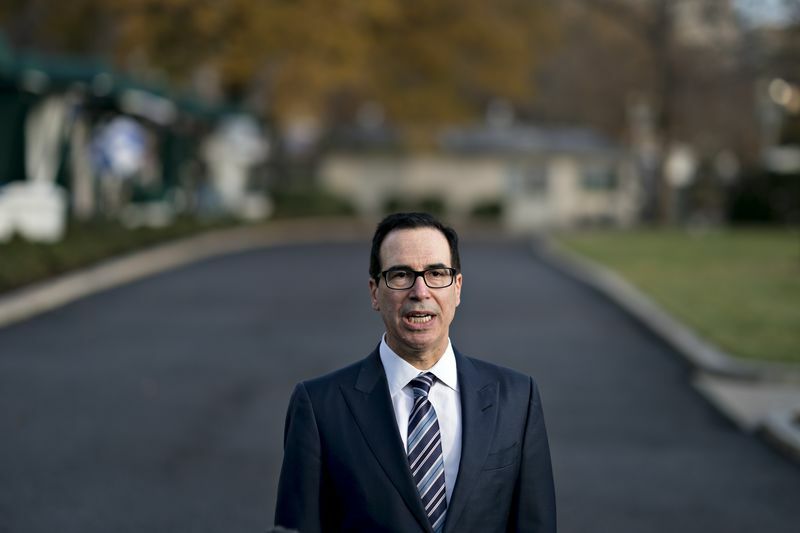 Mnuchin, in an interview with CNBC on Monday, put a $1.2 trillion price tag on China’s additional trade commitments, but emphasized the details of how they get there still need to be negotiated. China imposed a retaliatory 25 percent tariff on imports of cars from the U.S. over the summer in response to Trump’s own tariffs. That’s added on top of a 15 percent tariff that Beijing charges for imports from the rest of the world, leaving U.S. auto exporters facing a 40 percent levy at the Chinese border. In his briefing with reporters, Kudlow said he assumed that the Chinese would eventually drop their auto tariffs altogether. Such a change would have to apply to all countries under World Trade Organization rules. 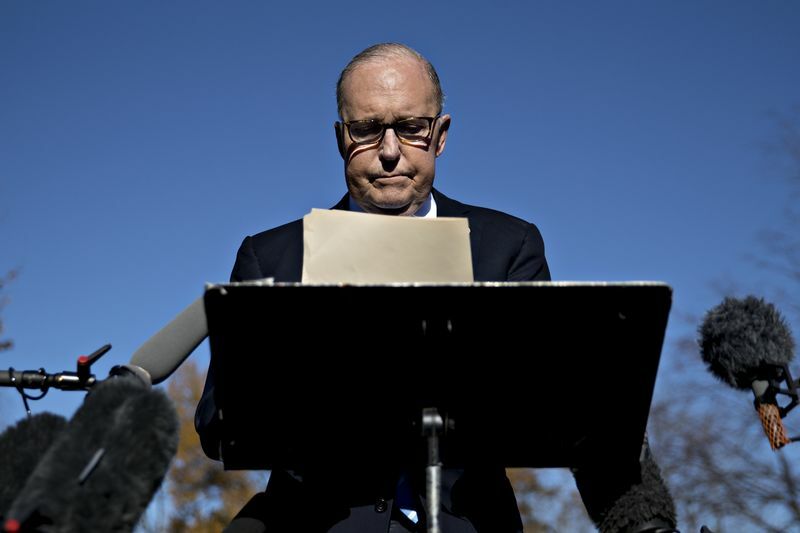 Asked why the auto tariffs weren’t mentioned in statements the U.S. and China issued after the dinner, Kudlow inexplicably insisted that they were. “I don’t agree with that,” he said. Syria’s energy, telecommunications, financial, construction and industrial sectors– to some degree–are spending Iranian credit. But it will not be a walk in the park for Iran to secure its share of the Syrian economy. World leaders, including China, Japan, India and other Asia-Pacific countries, will push for the rapid completion of a massive, China-backed trade deal that excludes the US at a summit this week, in a rebuke to rising protectionism and Donald Trump’s “America First” agenda. World leaders will push for the rapid completion of a massive, China-backed trade deal that excludes the US at a summit this week, in a rebuke to rising protectionism and Donald Trump’s “America First” agenda. China, Japan, India and other Asia-Pacific countries could announce a broad agreement on the Regional Comprehensive Economic Partnership (RCEP), which covers half the world’s population, on the sidelines of the annual gathering. Not only is the US absent from the deal, but Trump is skipping the summit in Singapore, highlighting how far he has pulled back from efforts to shape global trade rules and raising further questions about Washington’s commitment to Asia. Trump launched his unilateralist trade policy with a bang shortly after coming to office by withdrawing from the Trans-Pacific Partnership, a deal spearheaded by predecessor Barack Obama that aimed to bind fast-growing Asian powers into an American-backed order to counter China. His approach has left the floor open for Beijing to promote a rival pact it favours, the 16-member RCEP, a free trade deal which also aims to cut tariffs and integrate markets, but gives weaker protection in areas including employment and the environment. The pact championed by Obama has been kept alive even without the US, and is due to go into force this year, but the Beijing-backed pact has now overtaken it as the world’s biggest. Announcing in Singapore that talks for the deal — which formally began in 2012 — are mostly concluded would be “important as a symbol of Asia’s commitment to trade at a time of rising global tensions”, Deborah Elms, executive director of the Asian Trade Centre, told AFP. She said negotiations in some areas were likely to continue into next year, however, while a diplomat attending the summit, speaking anonymously, said “substantial progress” had been made but there were still sticking points. The gathering of 20 world leaders comes against a backdrop of a months-long trade dispute between China and the United States after Trump imposed tariffs on most Chinese imports this summer, and Beijing retaliated with its own levies. The standoff is having an impact far beyond the US and China, and leaders at the four days of meetings that begin Monday will be keen to voice their grievances to Vice President Mike Pence, attending in Trump’s place, and Premier Li Keqiang. Trump’s absence from the Singapore gathering and a subsequent meeting of world leaders in Papua New Guinea is even more notable given Obama, who launched a so-called “pivot to Asia” to direct more US economic and military resources to the region, was a regular participant. Washington, however, argues that it remains committed to Asia, pointing to regular visits by top officials. Myanmar’s embattled leader Aung San Suu Kyi is attending the meetings, and will deliver a keynote address at a business forum Monday. She may face criticism over a military crackdown on the Muslim Rohingya that saw hundreds of thousands flee to Bangladesh last year, and has sparked rare criticism of Myanmar from within regional bloc the Association of Southeast Asian Nations (ASEAN). Also on the agenda will be North Korea’s nuclear programme. Trump and North Korean leader Kim Jong Un signed a vaguely worded agreement on denuclearisation at a historic summit in June, but progress has been slow since. Pence will also keep on pressure on Beijing over its growing aggression in the South China Sea. China claims almost all the strategically vital waters, a source of friction with Southeast Asian states that have overlapping claims as well as the US, the traditionally dominant military power in the region. Other leaders attending include Russian President Vladimir Putin and Japanese Prime Minister Shinzo Abe. But much of the focus will be on the RCEP as leaders seek to send a message in support of free trade. The deal groups the 10 ASEAN members plus China, India, Japan, South Korea, Australia and New Zealand. World leaders “should present a united front advancing trade liberalisation in (the Asia-Pacific) despite global headwinds to trade from the rising tide of global protectionism,” Rajiv Biswas, chief regional economist at IHS Markit, told AFP. In multilateral action, Saudi Arabia and Bahrain added on Tuesday Iran’s Revolutionary Guard Corps and senior officers of its Quds Force to their lists of people and organizations suspected of involvement in terrorism. SPA quoted a statement from the security services saying Qassem Soleimani, commander of the Quds Force, and the force’s Hamed Abdollahi and Abdul Reza Shahlai were named on the list. Furthermore, Saudi Arabia’s State Security Presidency and the Terrorist Financing Targeting Center (TFTC), a US-Gulf initiative to stem finance to militant groups, sanctioned and designated nine individuals associated with the Taliban and their Iranian facilitators. TFTC has taken action “in a collective effort to identify, tackle and share information related to terrorist financing networks and their activities of mutual concerns, including threats emerging from countries supporting terrorism and terrorist organizations,” a statement on SPA read. It designated the following Taliban figures and Iranian facilitators: Mohammad Ebrahim Owhadi, Esmail Razzavi, Abdullah Samad Farugui, Mohammad Daoud Muzzamil, Abdulrahim Manan, Mohammad Naim Barich, Abdulaziz Shah Zamani, Sadr Ibrahim, and Hafiz Abdulmajid. The center was established in May 2017 during US President Donald Trump’s trip to Saudi Arabia. Saudi Arabia and the US co-chair the group and Bahrain, Kuwait, Oman, Qatar and the United Arab Emirates. This action is the third collective TFTC designation action since the center’s establishment. The TFTC is a bold and historic effort to expand and strengthen TFTC members cooperation to counter terrorist financing, coordination to disrupt funding of terrorism, sharing the information and capacity building to target the financing networks and the related activities that pose threats to the TFTC members national security. As a result of this action, and pursuant to TFTC members domestic laws, all assets, properties and related revenues to these names will be frozen in the designating countries and persons are prohibited from engaging in any transaction with the designated names. India will sign the S-400 missile system deal with Russia during the annual summit between PM Narendra Modi and President Vladimir Putin next week, hoping for a US sanction waiver, and to prevent Russia from directly selling weapon systems to Pakistan if India says no to the deal. India will sign the S-400 missile system deal with Russia during the annual summit between Prime Minister Narendra Modi and President Vladimir Putin next week, hoping that it has done enough business with the US to secure a waiver from sanctions, and to prevent Russia from directly selling weapon systems to Pakistan if India says no to the deal. Hindustan Times had first reported in April that the deal would be signed during the October summit and, in May, that New Delhi would go ahead with the purchase despite US sanctions against countries buying arms from Russia. South Block officials said that the deal is also in line with India’s efforts to maintain strategic autonomy and not be dependent on any one nation for its military hardware imports. The South Block officials told Hindustan Times on condition of anonymity that while the purchase of five units of the S-400 missile system was cleared this week by the Cabinet Committee on Security (CCS), the deal to build four stealth frigates in collaboration with Russia is stuck on technical aspects. Even though India has apprised US of its intentions to purchase the S-400 system and has requested a presidential waiver of CAATSA (Countering America’s Adversaries Through Sanctions Act), the Modi government has had to tread a fine balance between a new partner and an old ally which could cut off hardware spares in case the missile system acquisition is either delayed or shelved. More than 60% of Indian military equipment, including fighters, tanks and missiles, come from Russia and without the spares, the armed forces’ fighting capability will be significantly emasculated. For instance, the Indian Air Force Sukhois and Indian Army T series of tanks and Indian Navy’s aircraft carrier Vikramaditya are all from Russia. The other reason why the Modi government is keen to push the deal through is because it is worried, the officials added, that an upset Russia may directly sell arms to Pakistan just as it is doing so to China, skewing the military balance in the region. Diplomatically too, deferring or shelving the S-400 deal will sour the close relationship shared by Prime Minister Modi and President Putin. PM Modi has personally invested a lot in building close ties with Putin, the officials said, although this has not come at the cost of India’s relationship with the US. According to the officials, while Russian hardware may not be top of the line as compared to the US platforms in terms of technology, it is much cheaper initially and comes without additional conditionals on the buyer. While the tussle between the US on one side and Russia/China on the other have made a fit case for Indian state-owned defense manufacturers to step up to manufacture indigenous weapons at a rapid rate, the fact is that most have been found wanting. For instance, the officials pointed out, Hindustan Aeronautics Limited (HAL) cannot keep up with the requirements of the Indian Air Force for light combat aircraft (LCA). Nevertheless, the government is clear that the only way out of this imbroglio is to manufacture indigenous systems and platforms rather than be dependent on anyone, the officials admitted. Meanwhile, the Modi government has deepened its military ties with the Pentagon by placing over $5 billion worth of orders with US defense contractors for strike platforms. India has placed orders for one more C-17 heavy lift transport aircraft (it already has 10), four additional P8I Neptune anti-submarine warfare aircraft, six additional Apache attack helicopters for the army, 24 Sikorsky helicopters for the navy, and M-777 lightweight howitzers. US F-18 and F-35 fighters are also in contention for the additional fighter order the Indian Air Force is evaluating. The Trump Administration will announce in the next few days that it rejects the long-standing Palestinian demand for a “right of return” for million of refugees and their descendants to Israel, an Israeli television report said Saturday night. The US will announce a policy that, “from its point of view, essentially cancels the ‘right of return,’” the report said. The “right of return” is one of the key core issues of dispute in the Israeli-Palestinian conflict. The Palestinians claim that five million people — tens of thousands of original refugees from what is today’s Israel, and their millions of descendants — have a “right of return.” Israel rejects the demand, saying that it represents a bid by the Palestinians to destroy Israel by weight of numbers. Israel’s population is almost nine million, some three-quarters of whom are Jewish. An influx of millions would mean Israel could no longer be a Jewish-majority state. Created in 1949 in the wake of the 1948 War of Independence, UNRWA operates schools and provides health care and other social services to Palestinians in the West Bank, Gaza, Jordan, Lebanon, and Syria. Hadashot said the new US position represented a further endorsement of Israel’s positions, months after the administration recognized Jerusalem as Israel’s capital and relocated the US embassy from Tel Aviv to Jerusalem. 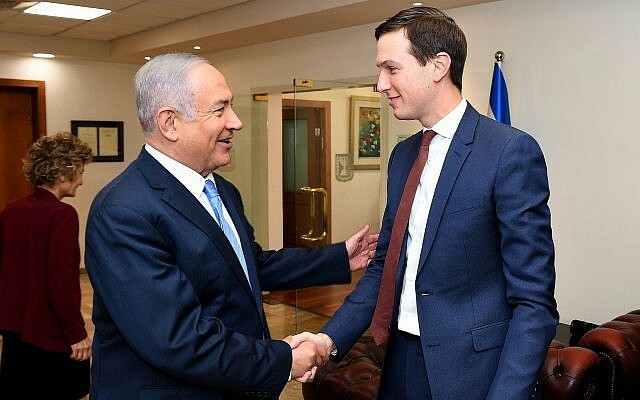 Earlier this month, Foreign Policy reported that Jared Kushner, US President Donald Trump’s senior adviser and son-in-law, has been pushing to remove the refugee status of millions of Palestinians as part of an apparent effort to shutter UNRWA. Israel’s Prime Minister Benjamin Netanyahu has called in the past for UNRWA to be “dismantled.” Last July, for instance, he accused the organization of inciting against Israel while doing nothing to help the plight of Palestinian refugees. He asked why they needed a specific body, when the UN High Commission for Refugees has helped tens of millions of displaced persons since World War II. “The time has come to dismantle UNRWA and have its parts be integrated into the UN High Commission for Refugees,” he said, accusing the body of “perpetuating” the plight of Palestinian refugees. 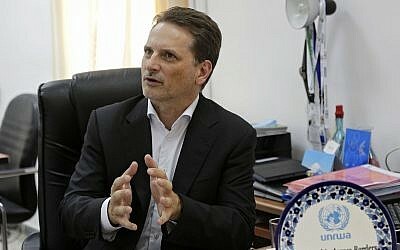 On Friday, the head of UNRWA suggested that the United States had been slashing his budget to punish the Palestinians for their criticism of the American recognition of Jerusalem as Israel’s capital, and warned that the Palestinian refugee issue would not go away. 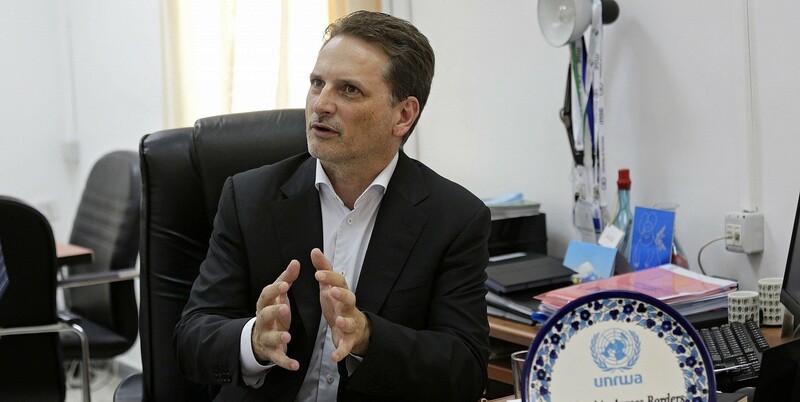 “One cannot simply wish 5 million people away,” Pierre Kraehenbuehl, the UNRWA commissioner, said. On Friday, the State Department announced a cut of more than $200 million in aid to the Palestinians, indicating that those tax-payer funds no longer served American interests. The Palestinian Authority condemned the move as an attempt to “blackmail” the Palestinians into abandoning their demand for East Jerusalem and the Old City to serve as the capital of their hoped-for independent Palestinian state. Friday’s move was the declared result of a review of US assistance to the Palestinian Authority that Trump ordered in January, following Palestinian outrage over his decision to recognize Jerusalem as Israel’s capital and move the US embassy there. This is not the first time Trump has cut longstanding aid bound to the Palestinians. 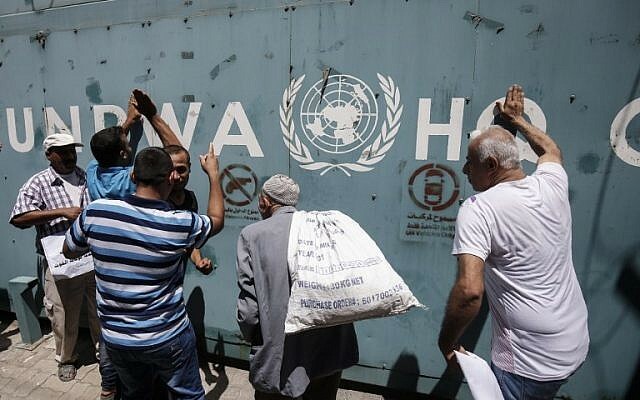 In January, the White House announced it also would withhold $65 million in assistance to UNRWA. Earlier this month, the administration released millions of dollars in frozen aid to the PA, but only for Israeli-Palestinian security cooperation, an administration source said. The funds withheld Friday are directed toward health and educational programs, as well as initiatives to make Palestinian governance more efficient. They are used both in the PA-administered West Bank and the Hamas-ruled Gaza Strip. The Trump administration said the terror group’s control of Gaza was one of the main reasons it wanted to cease its aid to the coastal enclave. 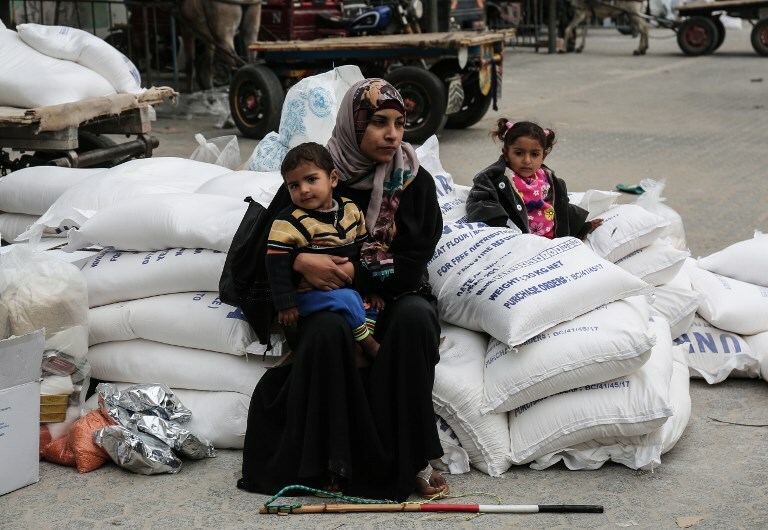 “This decision takes into account the challenges the international community faces in providing assistance in Gaza, where Hamas control endangers the lives of Gaza’s citizens and degrades an already dire humanitarian and economic situation,” the State Department official said. The official did not give an exact amount of the funds to be cut, but said it is more than $200 million that was approved in 2017. The US had planned to give the Palestinians $251 million for good governance, health, education, and funding for civil society in the current budget year that ends September 30. But with just over a month to go before that money must be used, reprogrammed to other areas, or returned to the Treasury, less than half has actually been spent. 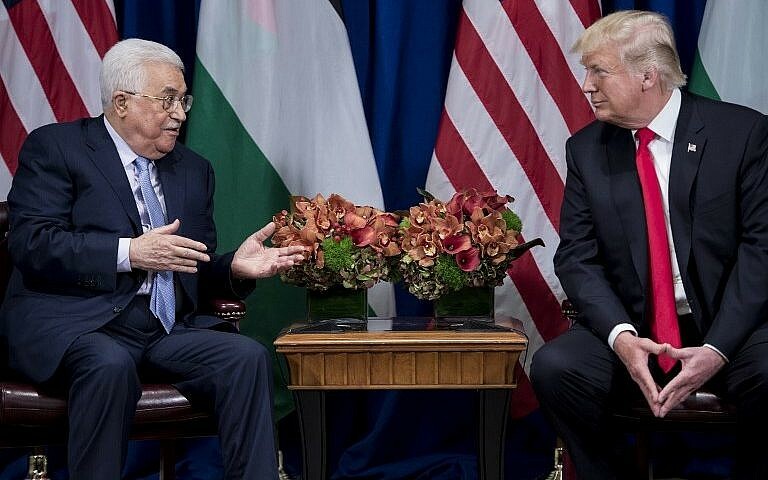 Washington’s withdrawal of the aid comes as Trump’s team tasked with brokering an Israeli-Palestinian accord is expected to release its long-awaited peace plan. Kushner and Trump’s special envoy for Middle East peace Jason Greenblatt are expected to roll out the proposal in the near future, though they have provided no timetable for when that might happen. Liberal US Jewish groups also cast the cuts as detrimental to efforts, and said they would exacerbate Palestinian suffering. 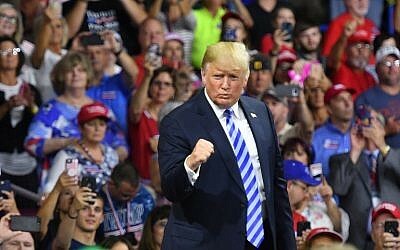 On Tuesday, Trump told a campaign rally in Charleston, West Virginia, that Israel will “pay a higher price” and the Palestinians “will get something very good” in any future negotiations in return for the US having recognized Jerusalem as Israel’s capital. 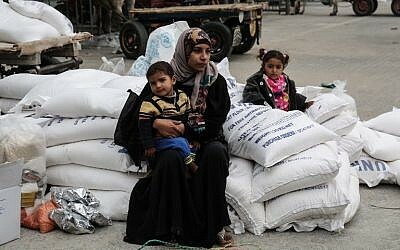 UNRWA grants refugee status to all descendants of Palestinians who left or fled Israel with the establishment of the state in 1948, swelling the number to an estimated five million at present, when the number of actual refugees from that conflict is estimated to be in the low tens of thousands. In peace talks, the Palestinian leadership has always demanded a “right of return” to Israel for these millions — an influx that, if accepted by Israel, would spell the end of the Israel as a majority Jewish state. Israel argues that the Palestinian demand is an UNRWA-facilitated effort to destroy Israel by demographic means. The Palestinians also seek an independent state in the West Bank, Gaza Strip, and East Jerusalem. Months of ongoing violent protests fueled by Hamas at the Gaza border with Israel were initiated in March under the banner of a “March of the Return,” and encouraged by Hamas leaders with the declared ultimate goal of erasing the border and destroying Israel. Israel often argues that an independent Palestinian state, if agreed upon in negotiations, would absorb Palestinian refugees and their descendants, just as Israel absorbed Jewish refugees from Middle Eastern and north African countries over the decades. Escalating tensions might simmer down, but we’re past the point of pretending these two governments’ values are compatible. Hope you sold all your lira before this week. There are only two ways that the diplomatic rift between the U.S. and Turkey can end: a compromise that salvages the relationship as best possible, or a complete rupture with devastating consequences both for Turkey’s economy and America’s regional strategic interests. Either way, there is no going back to the way things were. The arrest in Turkey of American pastor Andrew Brunson nearly two years ago has led to a diplomatic spat that threatens a full-blown economic meltdown in Turkey. Brunson, along with many foreign nationals that were detained in the wake of the failed 2016 coup attempt, has been accused of “supporting terrorism.” A deal for Brunson’s release seemed likely as Turkish officials traveled to Washington this week, but fell apart apparently over last-minute Turkish demands. Meanwhile, tensions have ratcheted up. The Trump administration has imposed sanctions on Turkey’s interior and justice ministers. Erdogan threatened retaliation and got the support of most of the Turkish opposition. On Wednesday, Stars and Stripes reported that a group of pro-government lawyers in Turkey have filed charges against several U.S. officers at the Incirlik Air Base, accusing them too of ties to terrorist groups. They are demanding all flights leaving the base be temporarily suspended and a search warrant be executed. The standoff is partly the accumulation of years of resentment, despite the pretenses of a faithful partnership. Turkey’s once-unassailable support among U.S. foreign policy leaders, and in Congress, has been weakened by years of authoritarian creep, a worsening human rights record and cooperation with Russia and Iran in Syria. Turkey’s plans for a $2 billion purchase of Russian-made S-400 surface-to-air missiles, which NATO has said are incompatible with allied systems and restrictions on American use of the Incirlik Air Base, haven’t gone down well. The feeling is mutual. Erdogan has never quite recovered from his anger at the way his allies seemed to sit on the fence in the hours after an attempted coup was announced in July 2016. The Turkish leader is also furious at American support for the Kurdish militia fighting Islamic State in northern Syria. Earlier this year, he threatened American troops with an “Ottoman slap” if the U.S. tried to block Turkey’s military incursion into northwest Syria. One major source of contention has been the U.S. refusal to turn over the Pennsylvania-based cleric Fethullah Gulen, a one-time Erdogan ally and now an enemy, whom Erdogan alleges was behind the coup and other attempts to undermine him. Trump’s abandonment of the Iran nuclear deal is another sore point; nearly half of Turkey’s oil imports come from Iran, and the re-imposition of sanctions against Iran hurts Turkey’s economy. The Brunson case made all of that impossible to ignore, as U.S. evangelicals took up the cause. But “impossible to ignore” is not to say that the Trump administration has become a principled defender of human rights in Turkey. Far from it. Trump, whose name adorns luxury properties in Turkey, expressed only praise for Erdogan when they met in 2017. When Erdogan’s supporters and guards attacked protesters in Washington, the affair was handled quietly. The administration has been silent on other arrests of U.S. and foreign nationals in Turkey. But it was ready to strike a deal for Brunson’s release. The U.S. had already asked Israel to release Ebru Ozkan, a Turkish national who was arrested there on suspicion of aiding Hamas (Israel deported herthe day after Trump called Israeli President Benjamin Netanyahu). The Trump administration was also reportedly ready to allow Hakan Atilla, a former top executive of state-owned Halkbank, convicted for violating Iran sanctions, to serve out the rest of his prison sentence in Turkey. The deal was scuppered, reportedly, when Turkey wanted relief on a multibillion-dollar fine against Halkbank and an assurance that any investigations be dropped. The U.S. can afford to play a longer game. The June 24 election may have strengthened Erdogan’s power further, but he didn’t win by a Putin-sized margin. (Erdogan cleared just over 52 percent, and that’s if we all agree to ignore the voting irregularities that presumably bolstered his numbers.) Turkey is divided politically, and the longer Erdogan rules by coercion, the more vulnerable he may become, especially if Turkey’s economy continues to suffer. As the main barometer of confidence in the country, the lira’s decline speaks volumes. Even so, a diplomatic solution is clearly preferable to continued escalation. Erdogan is sacrificing the Turkish economy in order to keep Brunson as a bargaining chit. 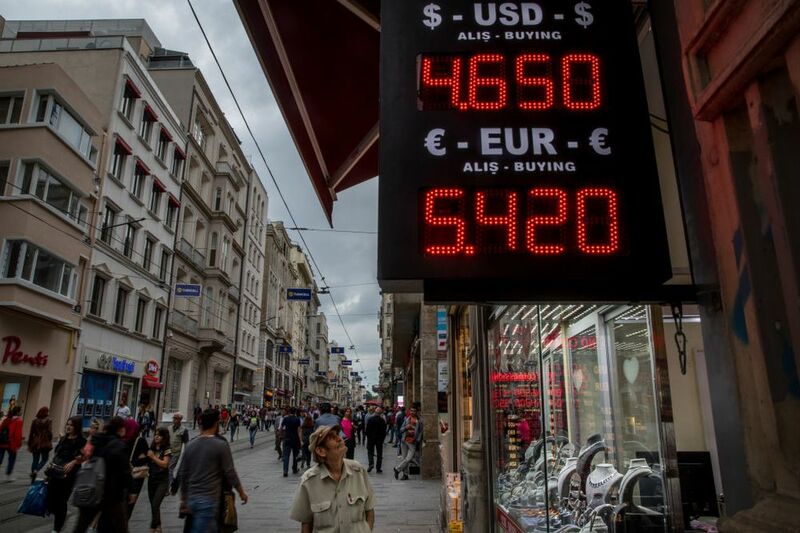 A fractured relationship with the U.S. will also put a strain on Turkey’s EU relationships and will give investors, already spooked, even more pause. Without Turkey, it is difficult to see how a rule-based U.S.-led world order could be sustained in this region, and how a successful policy on containing chaos in the Middle East could be envisioned. Similarly, there are arguably no Muslim-majority nations apart from Turkey that can serve as a bridge with the Western world or achieve the democratic standards, to which Turks have grown accustomed and, inadvertently or not, still expect. And yet, it has definitely changed, thanks not so much to national interests, but to failings in leadership. The U.S. will have to settle for something less loyal, less an alliance and more a transactional relationship. But then that seems to define these times pretty aptly.